At this day and age, we won’t last a day without our phones, laptops and tablets. Be it for work or play or entertainment, these technological gadgets are definitely here to stay. 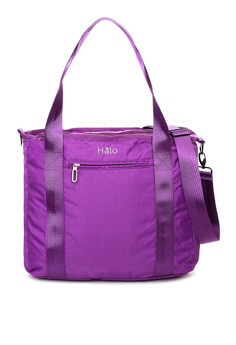 Halo Laptop bag in my favorite color! In my case, I always have my laptop with me wherever I go. This is my buddy for my online job being a virtual assistant. My laptop didn’t come with a cheap price, but it compensates me with its durability and efficient performance for my work. And since I value this prized possession, I need something to protect it from accidental scratches and bumps. I need a bag to give my laptop ample support and protection. Kikay as I am, I would also want my laptop bag to be colorful and trendy. Nothing beats the feeling of carrying your favorite gadget in style, right? The same goes for my phone and tablet. I am fond of dressing them up in pretty-looking and sturdy cases/covers because for me, my gadgets deserve the best. Why would I spend money on these gadgets but leave them bare and unprotected? It is a wise move to make their ‘lives’ longer by buying durable cases, which in turn saves me money from buying a gadget replacement too soon. In this department, Halo bags and cases is the famous brand most people use. I’ve heard a number of positive reviews about this local brand, and they offer a large selection of laptop, mobile and tablet cases/covers to suit anyone’s taste and preference. These bags and cases are also known to be durable and fashionable. For those who wish to buy these items online for faster and easier transaction, you may simply browse ZALORA for a wide variety of bags from Halo! You sure will find one for you. The purple bag is so nice and spacious, it looks like it can fit all my gadgets. I'll check Halo out for other designs. Very stylish does it comes with different color? Having a decent quality of cases or bags is a good investment esp on gadgets. I would love that in colors red or blue. I love the style too. That is one beautiful bag to carry and keep our gadget. Yes, I don't have my laptop so need for this cute bag. Just kidding but yes I do agree that tech gadget should be taken care of well para tumagal ang buhay.